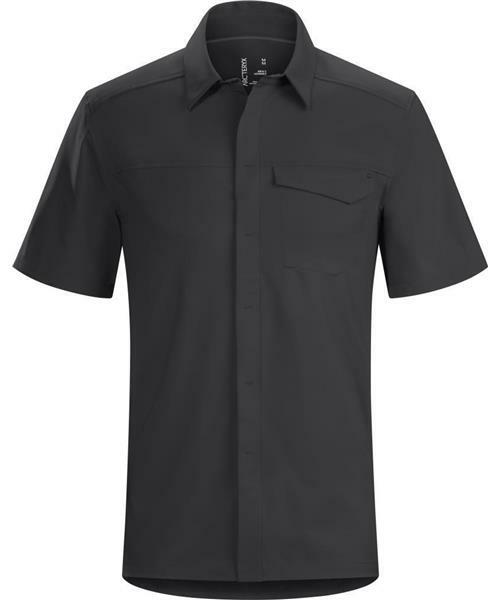 Skyline SS Shirt - Mens is rated 5.0 out of 5 by 4. Rated 5 out of 5 by TheCanadian from Love this shirt! One of the most comfortable shirts I have ever worn. Wicks moisture very well and feels very soft against your skin. It also has a great range of movement because of the stretchy fabric and gusseted underarms. I highly recomend this shirt. Rated 5 out of 5 by argotech from Probably the greatest shirt i've ever owned I currently have two of these, and am planning on buying a third. It's the most comfortable, and perfectly-fitted piece of clothing i've ever used. I'm finding myself using it for work (business-casual days), hiking, biking, everyday use, and just about anything else. I had once contemplated purchasing a similar shirt to this one from another company, and needless to say, it was nothing like this one. Just buy it! Rated 5 out of 5 by ScottG from Love it! Very comfortable! I was concerned how this fabric would do after washing it and it looks as good as it did from day 1.